Cheap and Good Hosting Provider?! And is it Realistic for WordPress? Cheap & Good Hosting Provider? Is it Realistic for WordPress? Choosing a good hosting provider, with good service for WordPress and other sites, is not just about the price, cheap or not, you could go wrong either way. I’ll show you how I get good web hosting, cheap in 2019. My personal favorite is FastComet Hosting — I consider them one of the cheapest high quality service providers for WordPress & others. Here’s why! Most companies with super cheap offers, are super expensive when it’s time to renew your hosting plan. With flat pricing, you get the same low-price for life. And most providers offer a free domain for the first year only. And you guessed it, expensive domain renewal. With cheap hosting, you get a free domain for life! Securing your site with a so called SSL certificate to have that HTTPS in the beginning of your domain, is a must in 2019. And that can also be free! Easy website builder, automatic backups, website firewalls, content delivery networks, WordPress & website migration, etc. all included in the price! An important factor in website speed, and biggest problem with cheap service, is stuffed, slow and unreliable servers. Get a provider with unmetered traffic, but limits in place to prevent abuse, and keep servers & WordPress running smooth. Customer service is the cornerstone of good web hosting. Go with a mid-sized company that has a dedicated, experienced team, available 24/7 all year round. Willing to make the extra effort in assisting you with WordPress issues, and anything they can by instant live chat and phone. Saving you in times of trouble. Choose service from a country location near you for a fast, low-latency connection, not just for the visitor geographic, but yourself. It really makes the difference. Yes, good hosting is cheap. Or at least cost-effective! Click here for FastComet Hosting which offers all this. Of course, it’s not all. But these factors alone are what makes them stand out from the rest and I assure you that it’s safe to run your WordPress site with them. Nowadays, the hosting scene is filled with (1) big companies that are impersonal, and focused on high profits through upselling and expensive renewal costs. And (2) small companies that offer incredible deals on over-sold servers, and slow support. So when something goes wrong, you are in trouble. My solution and recommendation over the years has been to go with mid-sized hosting providers, big enough to provide efficient support, high-quality servers and a cheap home for your website. And I’ve never met a good company, that can match the level and range of cost-effective features from FastComet. 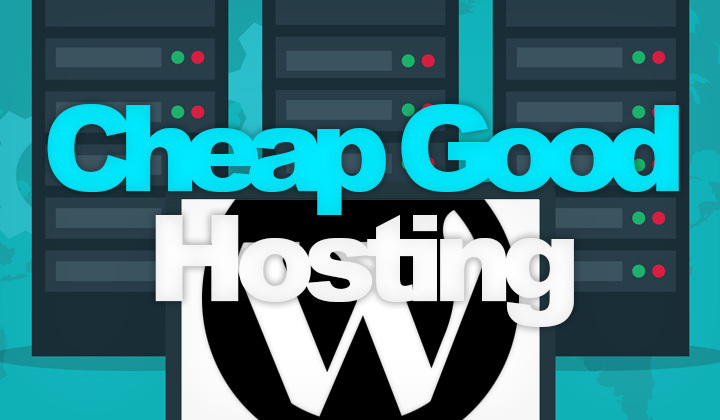 What’s cheap and good hosting for WordPress in 2019? Let us know your experience, and thoughts in the comments! Note 1: This post is based on my experience with FastComet and a huge number of other hosting companies over the years, working in the field. Note 2: Some of the posts, reviews, etc. contain affiliate links which not only promote my work on the blog but aim to bring useful content to readers. My most sincere thanks for visiting and having a read! Regards, Tim. Next Does SiteGround Have Free Hosting or Free Trial?